With the continued influx of families nesting in the region, it’s worth investigating indoor and outdoor activities, for children, when it comes to entertainment spaces that include creches, child day care venues, nurseries, commercial organisations and leisure entertainment. One company to consider is Moon Kids. They are a design company dedicated to developing fun and educational environments for children and parents. 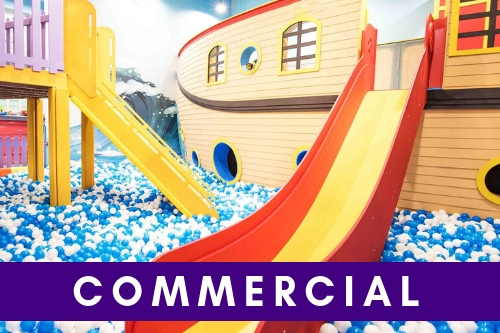 Initially they provided bespoke soft furnishing such as cushions, tepees and beanbags but they later expanded their products when they recognised there was a gap in the market for developing tailor-made play areas and sensory play products. Their designs are carefully constructed using architects, designers, project managers, textile engineers and craftsmen. The development of child-friendly forward-thinking furniture and spaces have won over clients like Etihad, Hilton Hotel Dubai, British Airways, Monte Carlo Beach Club, Du Telecommunications, House of Fraser, Lady Bird Nursery, Pearl School Abu Dhabi and Zaya Nurai Island Abu Dhabi to name a few. The company’s work has included the development of nurseries, play centres, day care centres, schools and education facilities from play area design, interior and exterior fit outs, landscape design, bespoke manufacture of furnishing equipment, mechanical works and electrical works. An example of a project they have been working on is a play area they are developing at The Golden Mile on The Palm in Dubai. 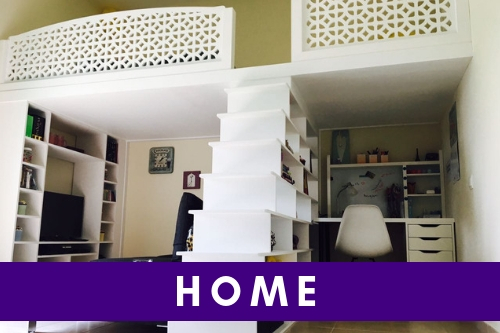 The idea was to create a play area that is multifunctional for children as well as parents. Some play areas only cater for the children and not so much for parents so there’s no real interaction between children and parents. They’ve adapted their concept to create a play area which improves social interaction between the adult and child in their community. The special features here include a bespoke made climbing frame maze, bespoke realistic play houses, soft play area for babies and toddlers, party room and a rustic French inspired café. To design something like this, from scratch, takes approximately over a month and the development time will be around 10-12 weeks on site.